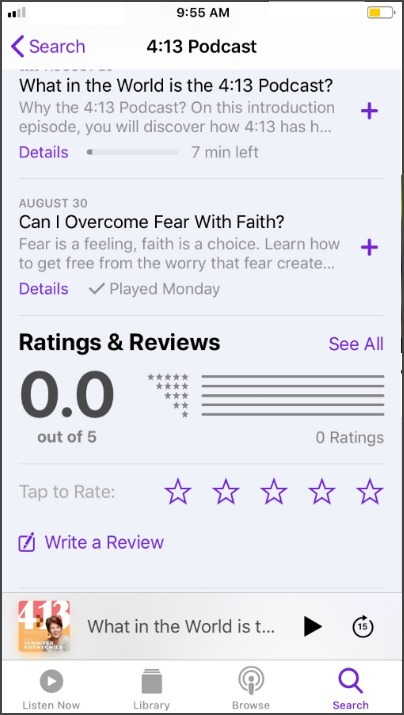 Reviews help the 4:13 Podcast reach more women with the “I can” message. At this time, iTunes is the only place to leave a review. But, if you subscribe through other podcast players, you are still supporting the podcast and helping to spread the “I can” message! 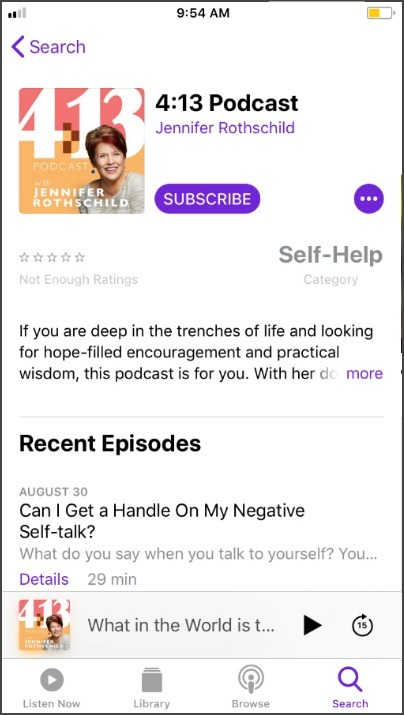 Tap the album art for the podcast to open the podcast. Click on a star to rate and then enter your review title and text. 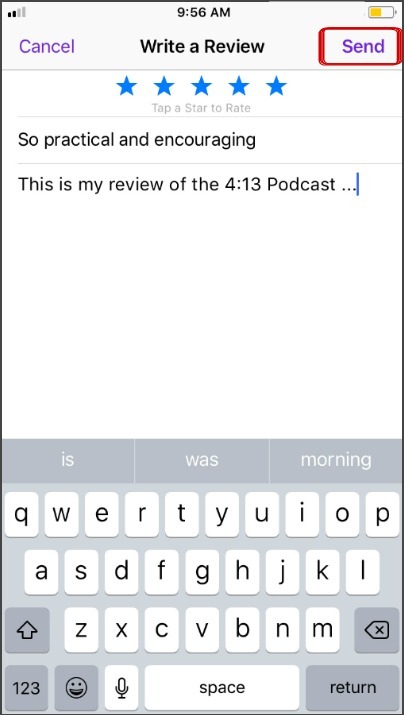 You may notice that your review doesn’t show up automatically–it could take up to 24 hours for iTunes to post the review. 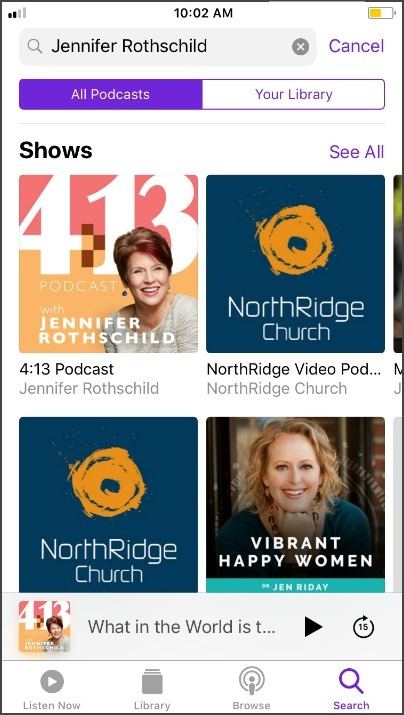 Thank you for your support of the 4:13 Podcast!